Few things are as disheartening as running a comb through your hair and having clumps of hair break off. Since Afro hair is generally drier than other hair types, certain styling methods make it more vulnerable to breakage. Thus, the stresses of chemical and heat styling combined are considered particularly detrimental. 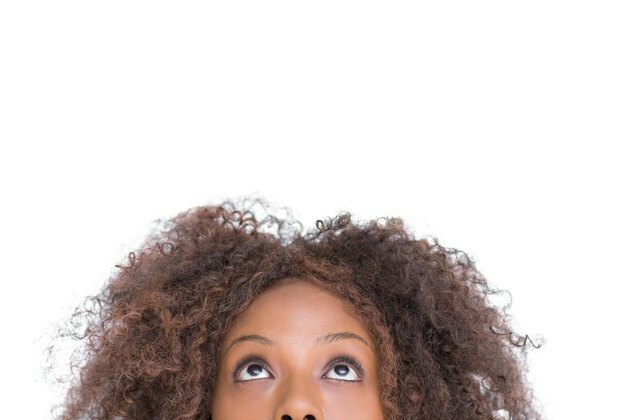 Finding a remedy to alleviate hair breakage can be as simple as adapting a better hair-care regimen. And while there is no guarantee you will never experience hair breakage again, it can be reduced considerably. Stop overprocessing your hair with chemical relaxers. Chemical relaxers weaken the hair, making it more vulnerable to breakage. Refrain from using heat-styling tools such as blow dryers, pressing combs and curling irons. These styling tools emit intense heat and in some cases smoke. They should not be applied to your delicate hair. Avoid styling your hair with tight braids. This can cause extreme damage and permanent hair loss, especially around the hairline. Worse yet, wearing tight braids can eventually cause traction alopecia. According to Traction-Alopecia.com, "This condition is most common in African American women and men who braid their hair too tightly." Stop using hair-weave methods that require glue. Hair glue pulls the hair out. Sew-in weaves may also cause breakage if sewn in too tightly. Avoid vigorous combing or brushing of the hair. The simple act of running an unsuitable brush or comb through the hair can cause major breakage. Invest in the proper comb or brush for your hair type, specifically wide-tooth combs and brushes. Avoid spritzing the hair in place with sprays. Sprays that harden and freeze the hair in place will cause breakage over time. Stop using greases and oils on the scalp. Clogging hair follicles with heavy pomades may lead to unnecessary hair loss. Apply oils to the hair only. Use a leave-in conditioner as well. Gently squeeze the hair dry with a towel after shampooing and conditioning as opposed to vigorous rubbing. Get a hair trim every eight weeks to eliminate split ends. Damaged ends are one of the leading contributors of hair loss. Eat a balanced diet to give your hair the nutrients it requires to stay healthy and strong, and drink six to eight glasses of water daily. "Natural Black Hair Care: What Factors Determine Hair Growth?" "Traction Alopecia: Causes &amp; Treatment Options"
"Hair Care Facts: Black Hair Care Tips"